Paul Parker, the new recording clerk of Britain Yearly Meeting, has been speaking at Quaker Meetings around the country recently. I went with some local Friends to hear him at Chesterfield Meeting last week, and was encouraged by his vision for the future of Quakers in Britain, as well as his approach to listening and sharing the experiences of different Meetings. Paul spoke about his sense that Quakers in Britain are ready for a big ‘whoosh’ – a rapid period of growth and vitality when our practices and message find a new resonance with the needs of the wider society around us – as happened first in the 17th Century, and again at the end of the 19th. He pointed out that in 1700 Quakers comprised about 1% of the population of Britain. If we were to reach that proportion today, there would be about 600,000 British Quakers (compared to about 20,000 at present). Paul believes there are already 600,000 potential Quakers out there, who are looking for what Friends have to offer, but simply haven’t found us yet, and that it is up to us to do something about it. This new sense of energy and vitality among Friends in Britain has been very striking in the 9 years that I have been in membership. My own Meeting in central Sheffield has grown significantly in numbers (to the extent that we have had Sundays when people had to sit on the floor), but also in the diversity of age and experiences, and in the level of community activity and involvement. It is a measure of the vibrancy of the Meeting that there are groups meeting together throughout the week for art workshops, gardening, book clubs, shared lunches, meditation, country walks and wild swimming. This is all in addition to the more traditional Quaker involvements in conflict resolution, support for refugees, human rights, environmental sustainability etc. I believe that this rich experience of community life, with a deep-rooted but non-dogmatic spiritual basis, is something that many people are looking for, but very few of them would be likely to think of Quakers as somewhere to find it – largely because so few people have any idea of what we are about. Those who have heard of Quakers at all are likely to confuse us with the Amish or the Mormons. For me, this suggests strongly that we have a responsibility to our society, and all those people who are looking for a life-affirming, non-hierarchical spiritual home, to let them know who we are, so that they have a real opportunity to consider whether we have something to offer them. 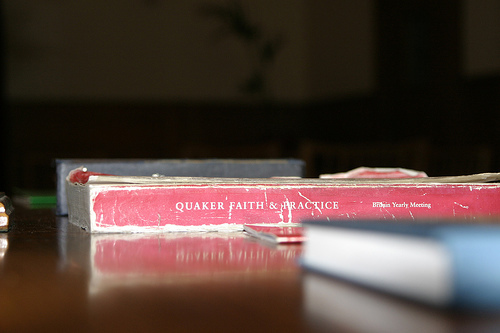 Over recent decades British Quakers have built up a very strong antipathy to anything that suggests proselytizing – to the extent that many Friends admit that their close colleagues or neighbours rarely even know that they are Quakers. But as Paul Parker said in his talk, ‘there is a big difference between proselytizing and not hiding.’ I certainly don’t go around trying to tell people what to believe or persuading people to become Quakers, but everyone who knows me knows that I am a Quaker. I talk about Quaker activities that I enjoy, and I am quite happy to talk more deeply to anyone who wants to discuss it, and to invite anyone who shows an interest. There may be some Friends who would find this difficult, but for most of us it is really not such a big ask. The much bigger challenge for British Quakers is to become more socially and ethnically diverse communities. Paul described this as the challenge of offering a ‘radical welcome’ – not just saying to people ‘you are welcome as long as you are just like us‘, but ‘you are welcome just as you are – and who you are will enrich what we become’. 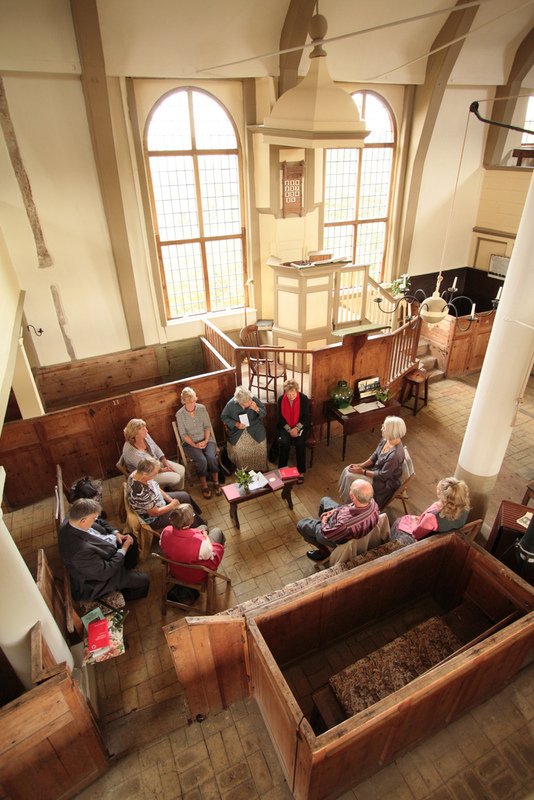 I believe that most Quaker Meetings have a genuine desire to welcome a wider range of people than the White, middle-class and older Friends that currently predominate. To do this though, especially starting from such a low level of social diversity in most Meetings, will take more than good intentions. First of all it means recognising the distinction between the ‘core practices’ of the Quaker spiritual tradition (Meeting for Worship, Meetings for Business, discernment of leadings, the testimonies etc), and the conventions which derive largely from the culture of White liberal middle-class Englishness, such as listening to Radio 4, reading the Guardian, and drinking herbal tea… We need to be willing to enlarge our image of what a Quaker community might look, sound and act like, so as to include the contribution of people with different cultures, experiences and life-journeys. Secondly, we need to find the ‘edges’ where our current membership overlaps with other social groups. It is easy to walk into a small Quaker Meeting and see an apparently undifferentiated group of white-haired, upper middle-class people, but in most Meetings at least some of those apparently innocuous Friends will have had close friendships or working relationships with third world revolutionaries, ex-prisoners, homeless people, refugees, Asian women or trades unionists. In larger Meetings there will be at least some Friends who are under 50, who have young children, who are Black or Asian, or who have a working class background, and who have friends, family and colleagues like themselves. All of these Friends have an opportunity to initiate the process of ‘radical welcome’ by sharing what they have found of value in the Quaker community, and inviting people from all of these social backgrounds to enrich the future of British Quakers. The invitation to engage in radical welcome is a challenge to all of us to move outside our comfortable social ghettoes and to share the life-giving riches of the Quaker Way with people whose differences can enlarge and enrich our experience of Quaker community. 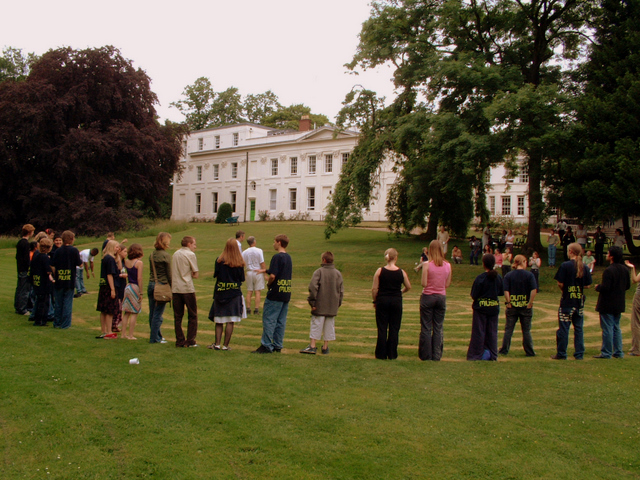 This post was originally published by Craig on his blog, Transition Quaker. 2012/05/24 in Best practice, Projects.